The City of Greater Bendigo council thanked its volunteers with a special morning tea held at Bendigo’s Ulumbarra Theatre on 24 May, as part of National Volunteer Week. In 2018, the City has more than 500 volunteers who contribute around 30,000 hours per year to assist delivering important services to the community and the local region. 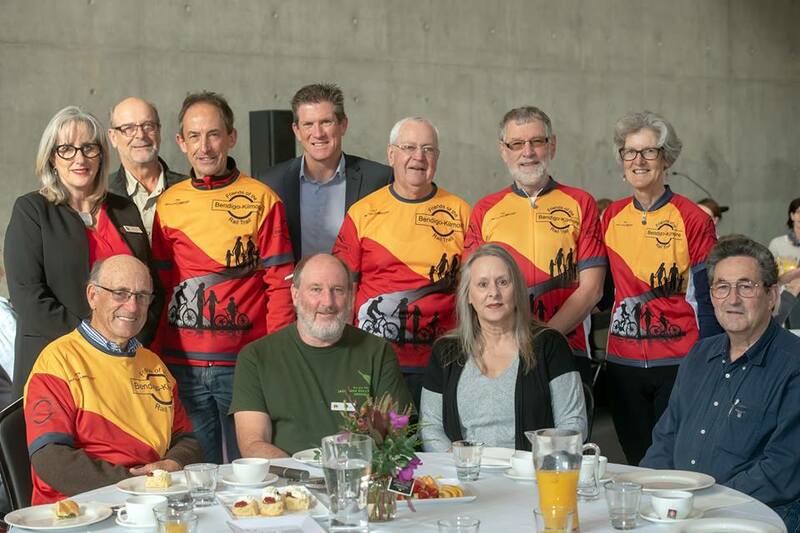 Some of the enthusiastic Friends of the Bendigo-Kilmore Rail Trail members joined with others to hear the Mayor Cr Margaret O’Rourke extend a big “Thank You” to all who were present as well as those who were unable to attend. It was also an opportunity for attendees to meet other volunteers, to hear of their positive contributions being made not only to benefit the local community yet also adding to the experience of visitors to the region.